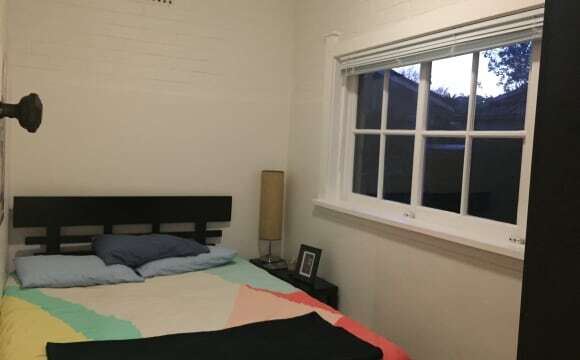 Unfurnished room for singles at $350 or couples at $400. North facing balcony, built-in wardrobe, internal laundry, close to Coles, Woolworths and Aldi and B1 bus route. Non smokers. There is a double garage available at an extra cost. Rent whole garage or share half with another tenant. I am offering the master bedroom of my apartment. Suitable for couples, the room is in a modern spacious apartment with all the extras and one minute walk to B-Line Buses. Other features include parking space in garage, spa bath, built-in wardrobe, large balcony, air con, gas stove, bbq, home theatre system, wifi. The apartment is in a resort style complex with a shared pool and gym. Very close to Coles, Woolworths, cafes and buses. The rent is $400 for single, $450 for couples. *these photos are old and some furniture etc. has changed. Great Lifestyle! Central position in Manly Vale area; 2 min walking to COLES and 1 min to the bus stop (city30min/ Manly10min). Easy ride and walk to Manly as well. Plenty of parking on the street and driveway (2). The house is unique; two floors, two bathroom and three rooms in each one, huge living room, couple of terraces, massive front yard and SWIMMING POOL WITH WIFI at the back yard!! Yeah, you will feel like living in a Hotel for a cheap price. ...... The room available is a share room furnished with two single beds and wardrobe. The deal is easy: -2 weeks bond. -50$ more every month to help pay cleaner, gardener, pool maintenance. If you want to arrange an inspection, please text me for more details. Thanks. Couples Welcome. Great location providing easy access to Manly beach, a fresh water lake and bushland (Manly Dam), Warringah Shopping Mall, supermarkets, Northern Beaches Hospital and the City for work (20 to 30 minutes via B-Line Express bus - leaves every 5 to 10 minutes). Come home to unwind and relax in your modern, coastal styled room. You will love the generous walk in wardrobe where you can comfortably store all belongings, keeping your room clutter free. If you love the outdoors, you are only a five minute walk away from Manly Dam boasting picnic grounds, shady trees to relax under, fresh water swimming, plenty of bush walking tracks, native birds and water dragons, and one of Sydney’s best mountain bike tracks enjoyed by both beginners to advanced riders. We are looking for someone who is friendly and tidy to share a large, modern bathroom with our teenage daughter. The spacious bathroom includes plenty of bench and cupboard space, an extremely large and well-lit mirror, separate shower, full sized bath and toilet. Take advantage of the shared, well-appointed kitchenette to prepare your own meals, with plenty of storage to maintain a clean and functional cooking space. Enjoy eating your meals outside in the shared courtyard. You will also have access to a laundry with a new large front loading washing machine and external clothes line. Your newly styled room includes: - TV with DVD, fridge, microwave, kettle and toaster - dining table and 2 chairs, - two comfy arm-chairs, double bed with side table and lamp, - ceiling fan and heater, - large walk-in wardrobe with plenty of hanging space with large chest of draws - sheets, bedding and towels included - bills and wifi internet included in rent Shared kitchenette / laundry facilities include: - generous cupboards, microwave, stove top, small oven, kettle, toaster, cutlery, crockery, glasses, pots and pans - large washing machine and clothes line. Bond: 2 weeks rent, plus 1 week rent paid weekly in advance (total $1,050). 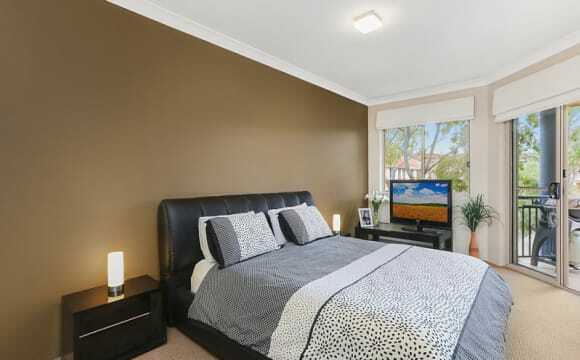 Manly Vale $425/wk - INCLUDES BILLS &amp; WIFI, large, clean &amp; bright Granny Flat with Ensuite. PERFECT FOR A WORKING COUPLE. Available Now. 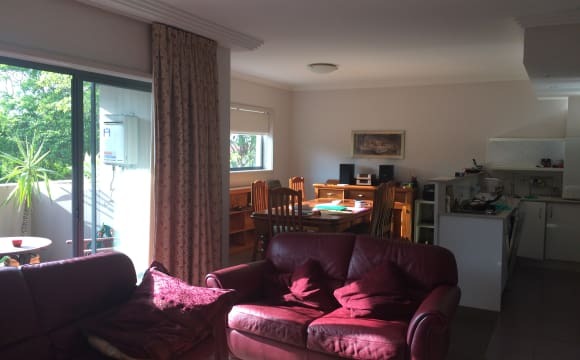 Spacious furnished granny flat with a separate entrance, in a great location providing easy access to Manly beach, picturesque fresh water lake and bushland (Manly Dam), Warringah Shopping Mall, supermarkets and the City for work (20 to 30 minutes via B-Line Express bus). Come home to unwind and relax in your modern, coastal styled private space. You will love sitting at your outdoor table in your own piece of tranquillity. If you love the outdoors, you are only a five minute walk away from Manly Dam boasting picnic grounds, shady trees to relax under, fresh water swimming, plenty of bush walking tracks, native birds and water dragons, and one of Sydney’s best mountain bike tracks enjoyed by both beginners to advanced riders. There is plenty of space to safely store your bikes, surf-boards and any other gear you have to fully experience the lifestyle of the Northern Beaches. Take advantage of the well-appointed kitchenette to prepare your own meals, with plenty of storage to maintain a clean and functional cooking space. You will also have access your own washing machine and external clothes line. Your newly styled room includes: - TV with DVD, fridge, microwave, toaster oven, double cooktop, kettle and toaster - Cooking utensils - washing machine and dryer - dining table and 2 chairs, - comfy arm-chair - reverse cycle air-conditioning / heating, - wardrobe with plenty of hanging space and large chest of draws - queen bed with doona, sheets, &amp; towels included - outdoor table and 2 chairs. - bills and wifi internet included. 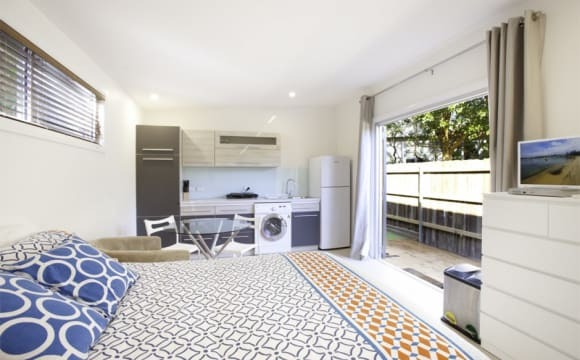 Kitchenette / laundry facilities include: - large fridge with freezer - generous cupboards, microwave, stove top, small oven, kettle, toaster, cutlery, crockery, glasses, pots &amp; pans - large washing machine and clothes line. Bond: 2 weeks rent, plus 1 week rent paid weekly in advance (total $1,275). 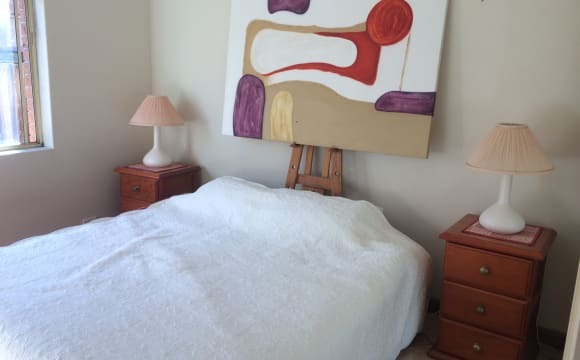 Private bedroom with own bathroom in the heart of Manly Vale. Suitable for professionals working in the CBD. The room is in a modern spacious apartment with all the extras and one minute walk to B-Line Buses. Other features include parking space in garage, built-in wardrobe, large balcony, air con, gas stove, bbq, home theatre system, wifi. The apartment is in a resort style complex with a shared pool and gym. Very close to Coles, Woolworths, cafes and buses. *these photos are old and some furniture etc. has changed. Hi. The unit is located near to Busstop for 3mins by walking, you can go to city for only 30~40mins and manly for 5mins. The room is involved private bathroom, it will be suitable to you. Great modern apartment with plenty of room. The places comes furnished ie. kitchen appliances, tv, washing machine, dryer etc. Carpets and ceiling fan in each of the bedrooms and common area has air conditioning. 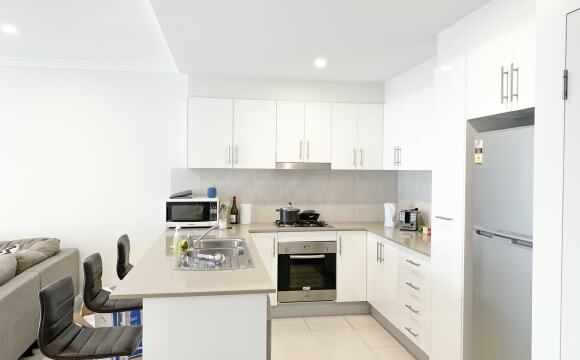 Location is great being within 300m of cafes, Woolworths, Aldi, Coles, Bunnings and Dan Murphys. Express bus for B1 to the city is 50m from the front door making it perfect for anyone who works in the city. 2km from Queenscliff beach and everything else Manly has to offer. The whole house isn't a year old yet and therefore in a top condition. Plantation shutters and all brand new floorboards and tiles. The room has a ceiling fan. Conveniently located 2 mins from the B-line bus (30 mins to Wynyard), and 5 mins drive out of Manly. Note: You will need to pay a monthly bond (paid back by leaving) as well a compensation payment for the furniture in the room, which will be yours then: - Bed + Mattress + 1 Blanket &amp; 3 Pillows - TV + HDMI cable + Power strip - Shelf - Desk - Mirror - Clothes basket I bought all the furniture in the room except the wardrobe. The Bed (with lift up storage) and the mattress (used with a protector and looks like new) are just half a year old. - Wardrobe stays in the room but was supported by the owner PM me telling my housemates a bit about you and to arrange a viewing! Our place is close to public transport, 5 min walk to many bus lines and a 10-min walk to the B1 which takes you straight into the city. Grocery shops Coles, Woolworths and Aldi are also reachable within a 10-min walk. Manly is a nice 30-min walk from here. Spacious two bedroom unit with balcony, nice view, secure building. Good location, bus stop 50m from block; 2 shopping precincts within 5 mins walk. Comfortable room, queen size bed, fully furnished. Own bathroom. Couples welcome at $550/week. Great location. I am right next to a bike path which leads directly into Manly.. best way to spend a sunny Saturday! Also a 5 minute walk to the B1 bus stop which will get you to the city super fast. Price includes internet, Netflix and Stan. The apartment has been recently renovated. Brand new kitchen laundry and bathroom. There is a long balcony Internet is the ncluded with Netflix The room is fully furnished with double built in mirror wardrobe, And a double bed. I've installed a new 5kw Samsung aircon Large 55 in TV in lounge Lots of room to relax There is a lock up garage for storage if necessary. Also have a new internal laundry. No dryer, just a washing machine. Hi, The flat is located on Waine street, easy access to the bus stop on Pittwater road with all buses to the city/manly/Warringah mall. The flat is spacious with lots of natural light. It includes a decent size balcony, internal laundry, separate dining and living room areas, and full equipped kitchen. The room for rent fits a queen size bed, and has build in wardrobe. 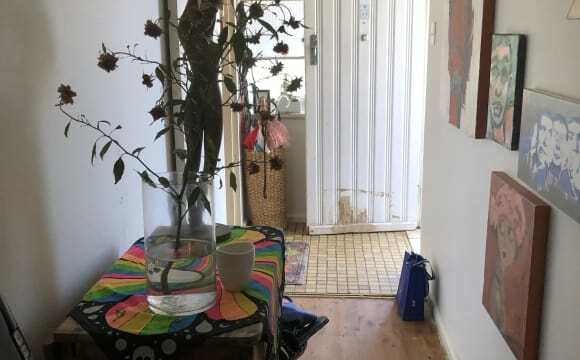 I'm looking for a tidy professional person to share a 3 bedroom house with me (female) &amp; one other person (male), both in our early fifties (we're open-minded and well traveled individuals). 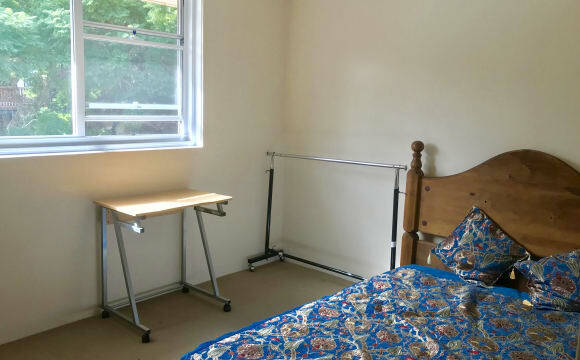 Large furnished (or unfurnished) room with double bed, mobile hanging clothes rack, desk, height-adjustable chair, desk lamp. Linen &amp; bedding provided if needed. 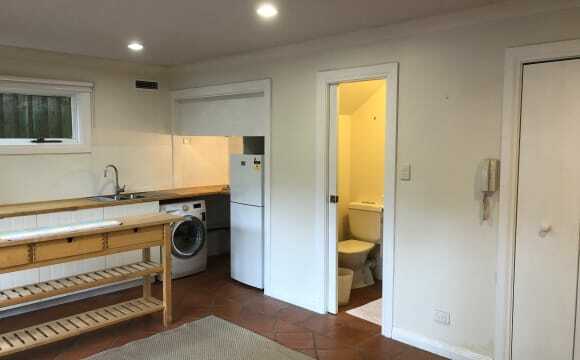 There's 1 bathroom and 2 toilets. There's also a sunny garden to relax in both summer and winter. Rent is $290.00 per week + 4 weeks bond + utilities + lawn mowing + net. Close to transport and shops: 5 min walk to Balgowlah shopping centre; 2min walk to bus stop; 7 min bus to Manly; 10-15 min bike ride to Manly. 30-40 min bus to/from Sydney city. The house is in Seaview St &amp; the nearest X street is Sydney Road. Fully equipped kitchen for gourmet diners. 2 toilets. We sometimes dine together and like a few social drinks. Per person you pay the following (as well as rent): Net, Utilities: (i.e. electricity, gas, water), Lawn mowing, Shared common foods, toilet paper, hand soap and cleaning products -approx$30 per week. Furnished 1 bedroom apartment available from 4th June - 1st September. Close to shops and public transport to the city and Manly. Walking distance to Fairlight beach. Please contact me for more information. Bright furnished 1 bedroom apartment available from June 4th - September, 1st. Close to public transport to the city and Manly. Shops and Cafe’s nearby. Walking distance to Fairlight beach. Please contact me for more information. Really nice house, with backyard, close to shoppings, and easy transport. 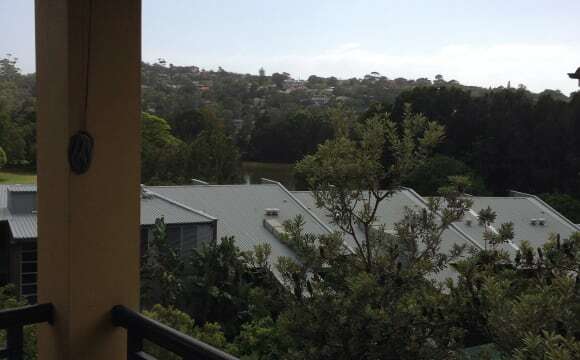 The balcony is brilliant with a view over the Northern Beaches from Shelley all the way to Collaroy. Freshie beach is approx 10 min walk away and Manly beach 20 min walk away, a bus stop a 30 second walk down the hill and Warringah Mall close by also. The room itself is more than enough than you need, enough room space for a bit of furniture and a really comfortable queen size bed - with a memory foam mattress! 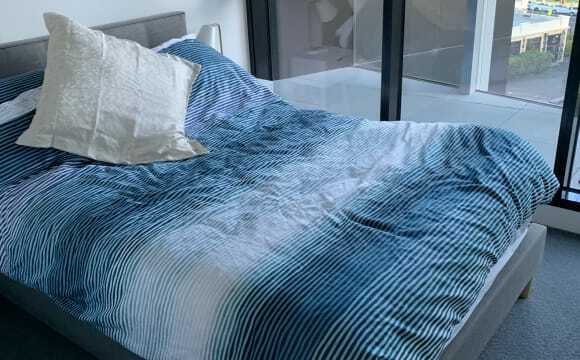 $330/wk for single person staying. Spacious furnished house in a quiet area in North Manly with swimming pool. Room is bright and freshly painted. 1 Double bed or 2 single beds Utilities are included. 7 mins walk to Warringah Mall (the largest indoor outdoor shopping centre in the Northern Beaches region, including Coles, Woolworths, Aldi, Target, Myer, H&amp;M .... lots of nice restaurants and cafes as well...). 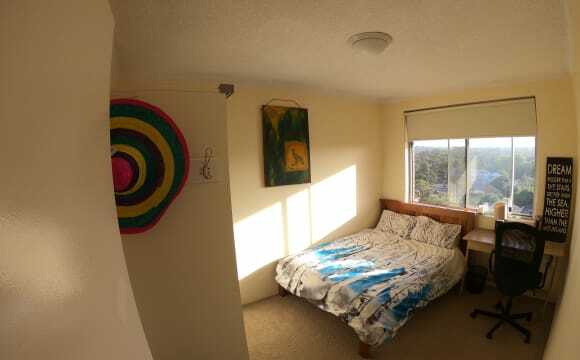 Also within walking distance to Freshwater Beach or 10 mins bus ride to Manly Beach. 5 mins walk to major Bus Stops located in Pittwater Road, frequent buses connecting to Sydney CBD (30mins), North Sydney, Chatswood and the Northern Beaches. 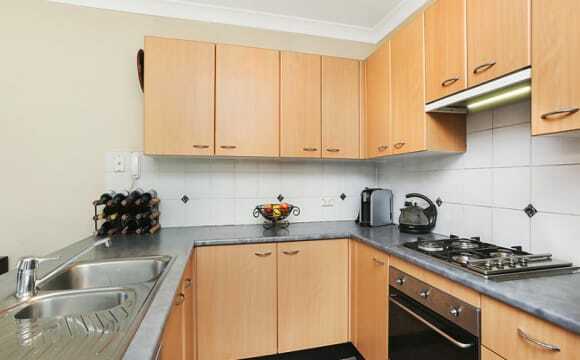 The apartment is walking distance to Freshwater shops and beach and Queenscliff beach. A garage is available for parking for an extra $15 weekly. The buses to city and Manly are 5 mins walk. There is a pool in the complex.